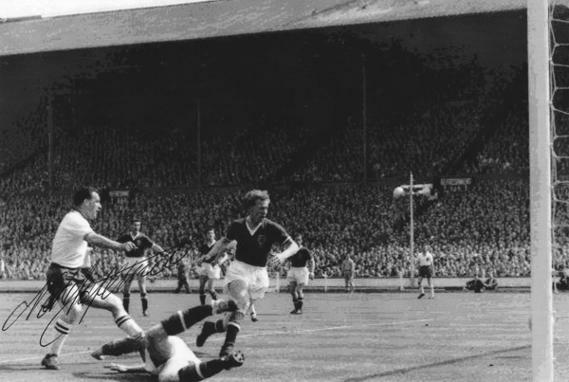 Signed 1958 FA Cup Final photo showing Lofthouse scoring the first of his two goals for Bolton Wanderers against Manchester United in the 2-0 win at Wembley Stadium. 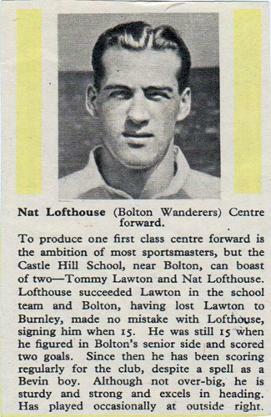 Signed Bolton Wanderers football club player card with bio / career details on reverse. 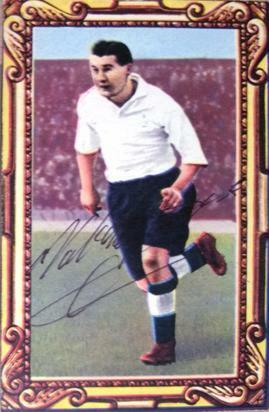 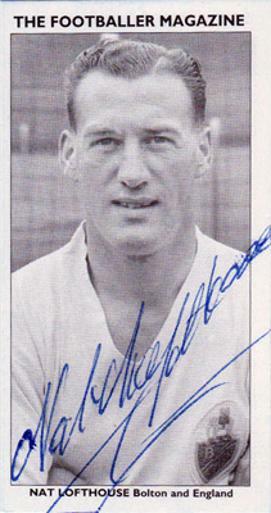 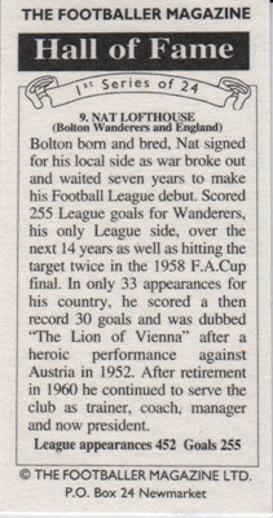 Welcome to Uniquely Sporting's sports shop / store page for NAT LOFTHOUSE football memorabilia & soccer collectables from his playing days with Bolton Wanderers and England.